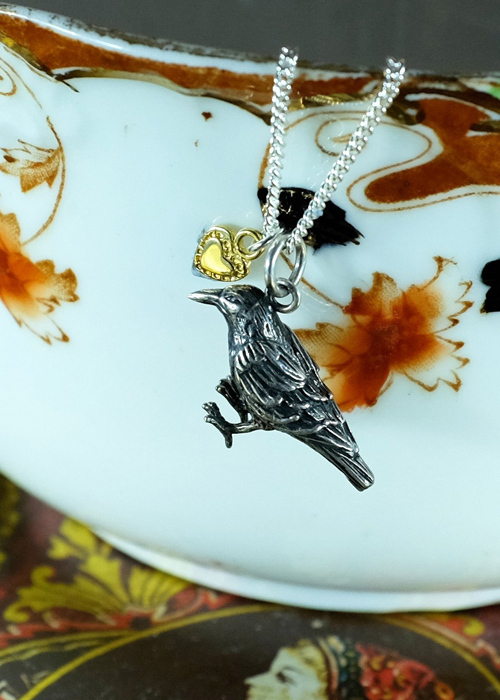 It’s a striking piece of nature inspired magical jewellery, the elegant raven makes a beautiful contrast to the tiny vermeil golden heart charm. 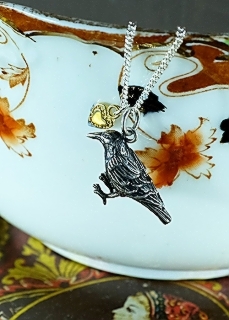 Raven: Solid Sterling Silver and Vermeil (solid Sterling Silver plated with 24ct yellow gold). The raven measures 13mm in height and 24mm from beak to tail feathers. 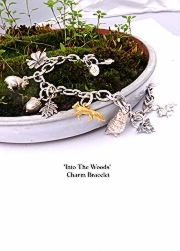 Chain length 18″. 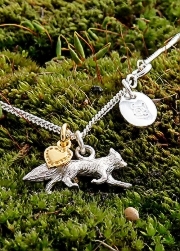 Comes with 18″ chain. Price includes shipping. This item is made and shipped from the USA. Therefore please note that you are responsible for any import duty/taxes that may occur. A dynamic dancing fairy holding a little heart! 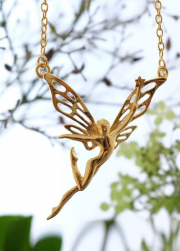 With wings outstretched and arms raising a heart to the sky, this fairy leaps with joy! 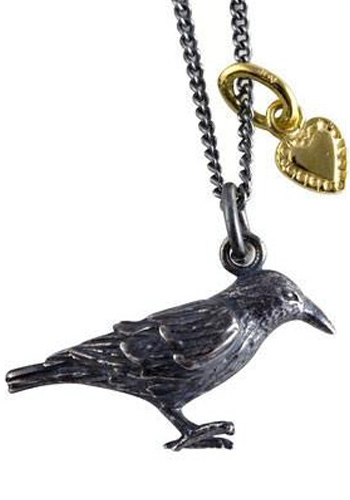 She flies from a fine curb chain and makes a delightful present for a lover or spouse. 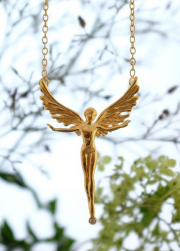 A shining golden fairy dancing on a delicate chain! 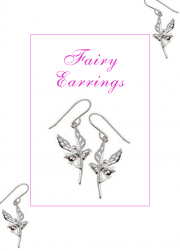 The exquisitely designed Good Morning Fairy embodies appreciation and encourages joyful thoughts in the wearer. 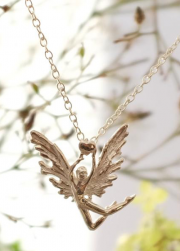 Her balletic pose and delicate, filigree wings makes this striking necklace sure to catch your eye.